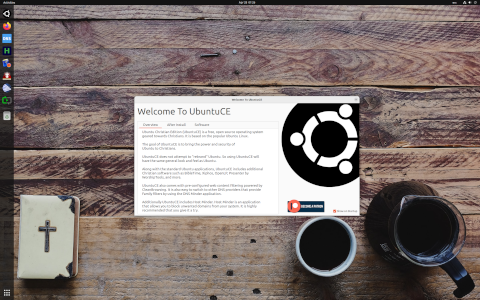 Rate this project Bruce Dubbs has announced the launch of Linux From Scratch (LFS) and Beyond Linux From Scratch (BLFS), version 7.7. The latest copies of the freely available books come with several updates and walk the reader through assembling a Linux distribution from individual packages. "The Linux From Scratch community is pleased to announce the release of LFS Version 7.7 and BLFS Version 7.7. This release is a major update to both LFS and BLFS. The LFS release includes updates to glibc 2.21, Binutils 2.25, and GCC 4.9.2. In total, 30 packages were updated, fixes made to boot scripts, and changes to text have been made throughout the book. The BLFS version includes approximately 750 packages beyond the base Linux From Scratch Version 7.7 book. This release has over 710 updates from the previous version including numerous text and formatting changes." The brief release announcement can be found on the project's website. Downloads: LFS (2.0MB), BLFS (8.4MB). Bruce Dubbs has announced the release of version 8.3 of Linux From Scratch (LFS) and Beyond Linux From Scratch (BLFS). LFS is a book that provides step-by-step instructions on how to build a base Linux system from scratch. BLFS expands on the LFS book by giving further lessons on compiling X Window System, window managers and desktop environments, as well as many popular desktop and server packages and their dependencies, thus enabling the user to custom-build a range of diverse Linux systems. From the release announcement: "The Linux From Scratch community is pleased to announce the release of LFS version 8.3, LFS version 8.3 (systemd), BLFS version 8.3, and BLFS version 8.3 (systemd). This release is a major update to both LFS and BLFS. The LFS release includes updates to glibc 2.28, Binutils 2.31.1 and GCC 8.2.0. Changes to text have been made throughout the book. The Linux kernel has also been updated to version 4.18.5. The BLFS edition includes approximately 1,000 packages beyond the base Linux From Scratch version 8.3 book. This release has about 700 updates from the previous version, in addition to numerous text and formatting changes." The books can be read at and download from the project's website: LFS (pkglist) - 8.3 (HTML), 8.3 (PDF), 8.3-systemd (HTML), 8.3-systemd (PDF), BLFS (pkglist) - 8.3 (HTML), 8.3-systemd (HTML).